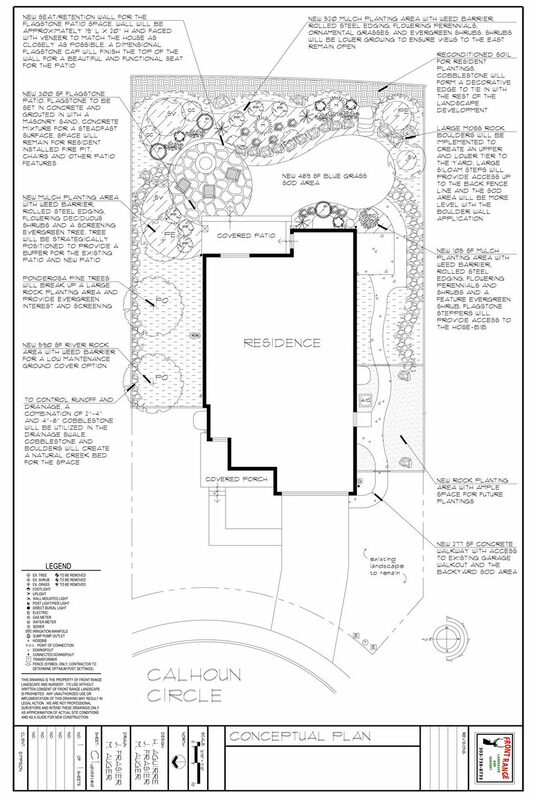 This project was a new build and the homeowner wanted to maximize their functional outdoor living space. 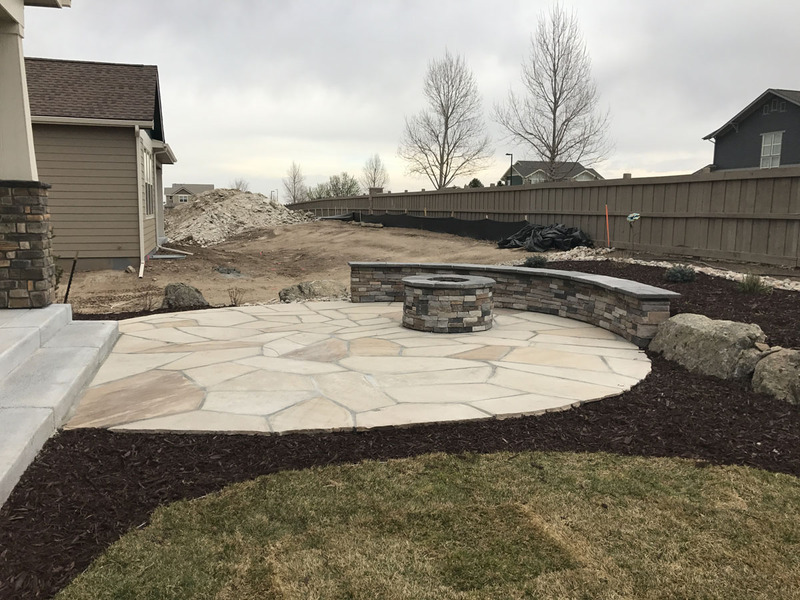 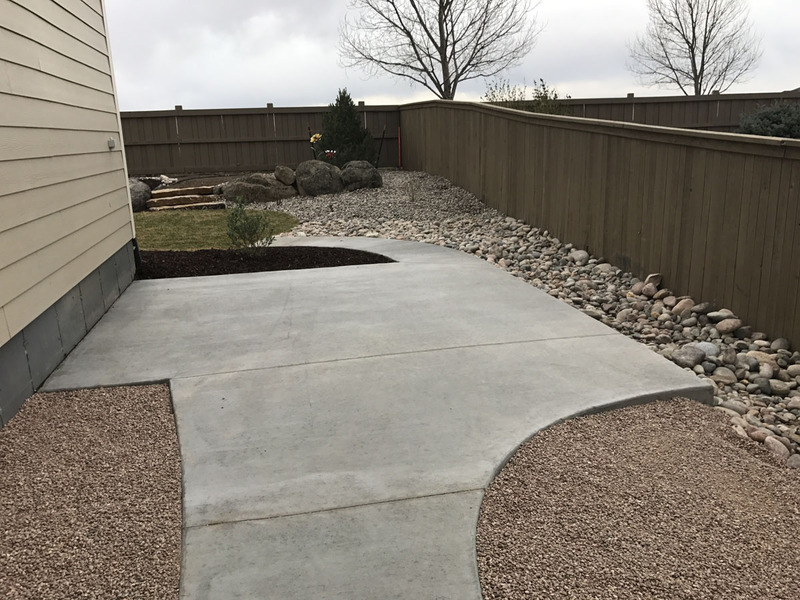 This presented an opportunity for our install crew to show their expertise in hardscape construction, both with the flagstone patio, seat wall, gas fire pit and grey concrete walkway and storage pad. 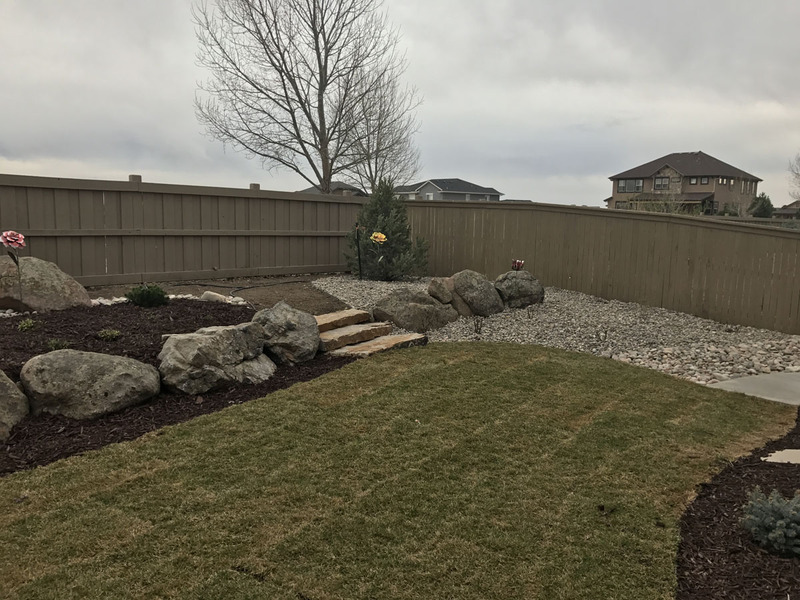 Working with the resident, we selected a flagstone that complemented the house and set to work creating an outdoor living space. 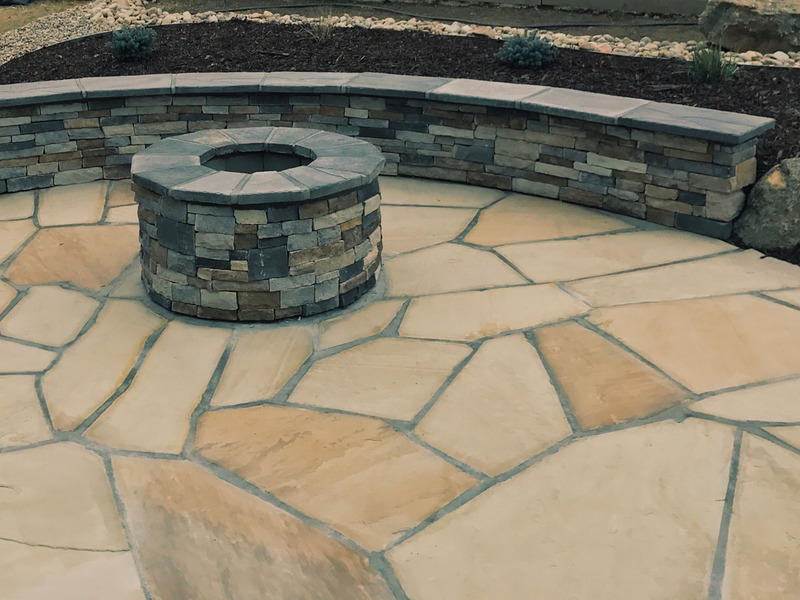 Bench seats offer respite by the gas grill and around the fire pit. 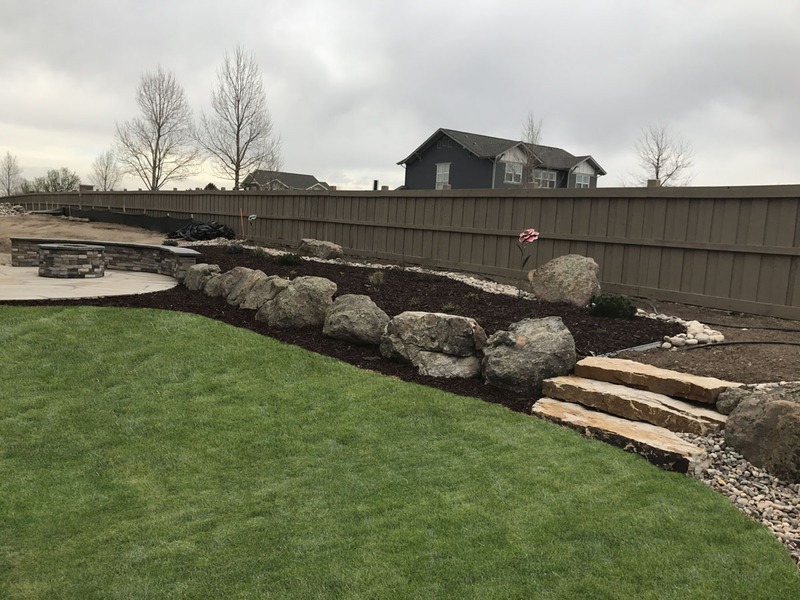 Moss rock boulders were installed to create a level grass area and siloam stones steps were installed for access to the upper mulch planting bed. 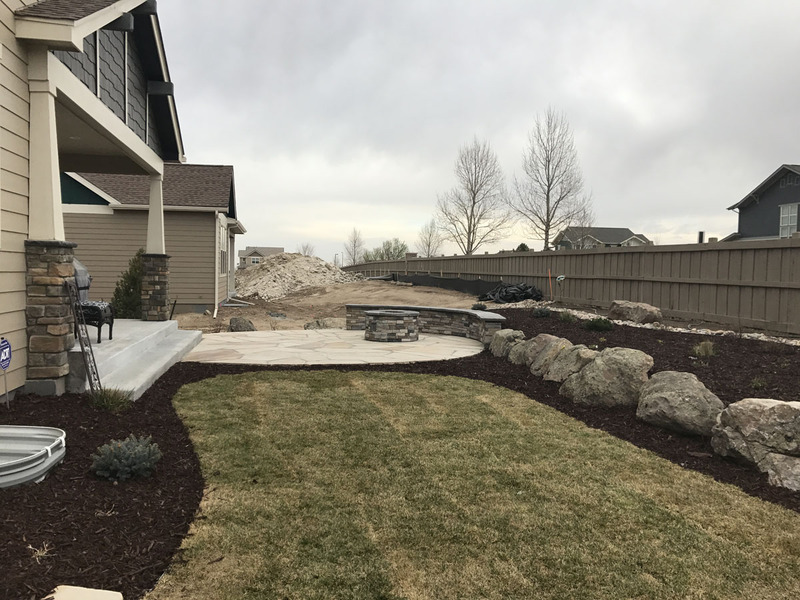 CLICK ON THE PICTURES BELOW to fully view the outdoor living areas that our landscaping experts were able to design for their property!